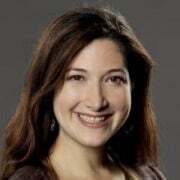 After six years as Facebook's director of marketing, Randi Zuckerberg -- the sister of the social networking giant's CEO and cofounder Mark Zuckerberg -- is leaving the company to start a business of her own. Randi Zuckerberg is focusing on a new venture called R to Z Media. Randi Zuckerberg is focusing on a new venture called R to Z Media that will "work with media companies to develop their programming in new, and more social ways," according to her resignation letter, acquired by AllThingsD. R to Z Media noted that Facebook will "clearly be a central element" in its projects. Facebook confirmed Zuckerberg's departure, telling AllThingsD: "We can confirm Randi has decided to leave Facebook to start her own company. We are all grateful for her important service." Zuckerberg's largest contribution to Facebook was the site's live streaming video channel, Facebook Live, which garnered her an Emmy award nomination in the category of live coverage of a current news event. Facebook Live covered President Obama's town hall among other big ticket political events. An added bonus to this news is the fact that Zuckerberg is not starting her own social networking business but rather will be assisting other companies with theirs. The last thing this world needs is another social networking site.